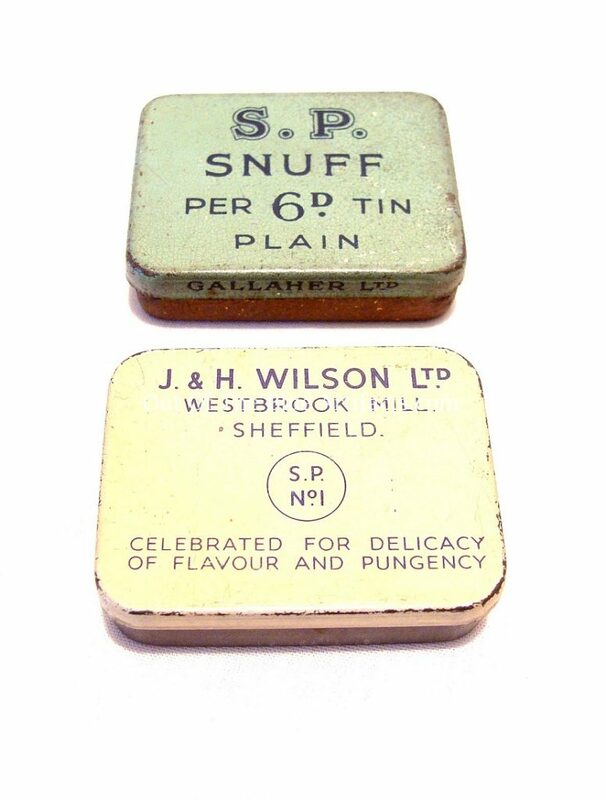 Two Old Snuff Tins. 1 “SP” Plain made by Gallaher Ltd, the other is “SP No1″ made by J. 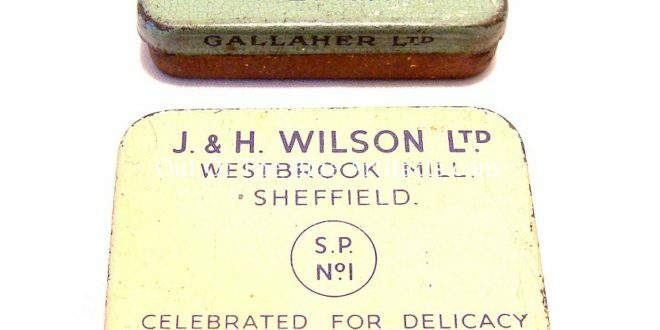 & H. Wilson,Westbrook Mill, Sheffield. Used through the 1940s 1950s. Size 1 3/4″ x 1/4” inches.